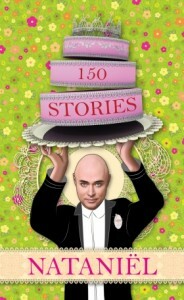 This extensive collection of stories by the inimitable Nataniël will make an ideal Christmas gift for any of his fans! His unique voice and style, his quirky and sharp humour, his empathy for the outcast and outsider, make him an important voice in our society. The collection includes almost all his stories (English and Afrikaans) from his older books which are now out of print (Oopmond, Rubber, Maria Maria,Tuesday, Kaalkop 2, When I was), as well as 10 new stories. Nataniël was born in Grahamstown in the Eastern Cape. He went to school at Riebeeck-Kasteel Primary School and De Kuilen High School in Kuilsriver, near Cape Town. He went on to study music at the University of Stellenbosch. He first became popular as a cabaret and stage artist, but since the 1990’s has also built a reputation as a writer, columnist and celebrity chef. His publications include Dancing with John (1992), Rubber (1996), Tuesday (2001), Food from the White House (2002), Kaalkop (2004) and When I Was (2008). His Kaalkop column has also appeared in the magazine Sarie for a number of years now.